...there is no simpler way to live than to live with gratitude for all that crosses our path. It is gratitude that allows us to appreciate what we have + helps us attract more of what we deserve. 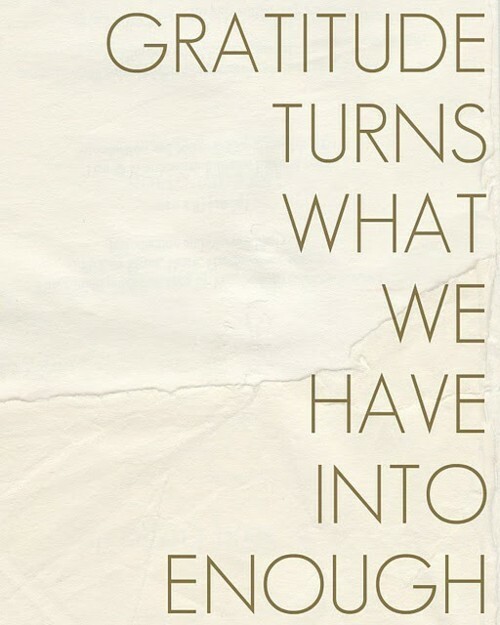 It is gratitude that indeed turns what we have into enough.